William H. Seward lived part of his life in the Finger Lakes region and was secretary of State to Abraham Lincoln. His daughter Fanny was an aspiring writer whose diaries have given rich insights into her father’s and her family’s life in and outside the public eye. 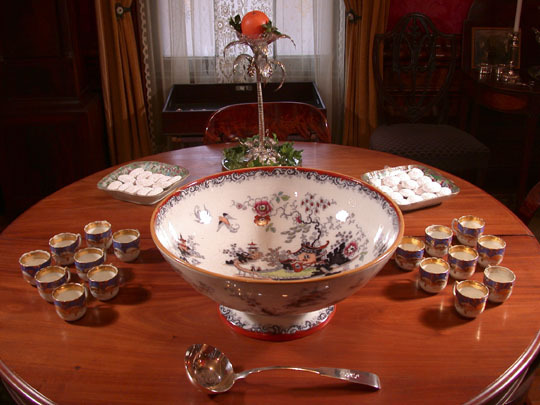 We even know that one of her father’s favorite party drink was Roman Punch, shared here, thanks to an article contributed by the Seward House’s former Executive Director, Peter Wisbey. 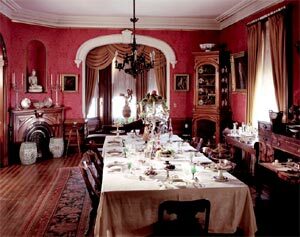 The Seward House, located at 33 South Street in Auburn, NY is open Year ’round, Tuesday through Saturday 10 am – 4 pm. It is closed Mondays and major holidays and also during the entire month of January. Admission is Adults $8, AAA/Senior Citizens/Military $7, Students with ID $5,Children under 6 and Circle of Friends Free. Photo is in the public domain. Do you have an inclination to celebrate like the Sewards? It can be argued that William Seward’s favorite party drink – it appears repeatedly on menus and in the family’s bills and receipts – was “Roman Punch.” Here is a recipe adapted from Marion Harland’s 1871 book, Common Sense in the Household. Refrigerate until very cold and serve in punch cups. Or put into freezing tray until partially frozen. Stir until smooth, then allow to freeze throughout. Stir well again and serve in sherbet glasses or punch cups at dinner. Source: Louise Belden, The Festive Tradition, W.W. Norton, 1983. Seward house is located at 33 South Street in Auburn. For more information about the museum, hours of operation and special events for the holidays, please call 315-252-1283 or visit the Seward House online. If you enjoyed this post, you may also want to read: Holiday Traditions of the 19th Century: Christmas and Holiday Traditions of the 19th Century: Thanksgiving. Our thanks to Peter Wisbey, former Executive Director of the Seward House in Auburn, New York, who has contributed a three-part article on Holiday Traditions in the 19th Century. At this time of year, with the crops harvested and the roads still passable, nineteenth-century New Yorkers began to dust off their party clothes and turn their thoughts to merrymaking. Late fall and early winter were times for visiting friends and renewing the bonds of community. 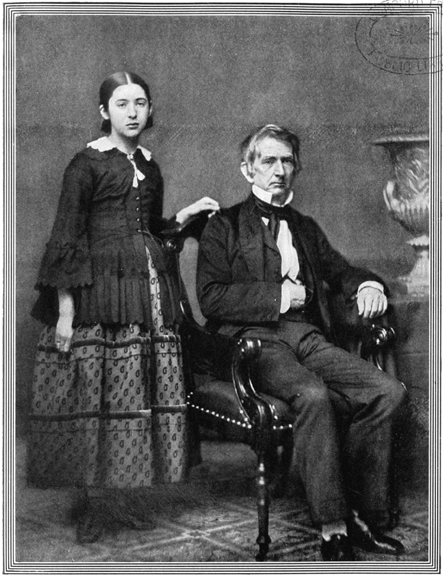 William Henry Seward – governor, U.S. Senator and U.S. Secretary of State to Presidents Abraham Lincoln and Andrew Johnson – was one of the most powerful and recognized Americans of the era. Yet he and his family used their home in Auburn for some very typical holiday celebrations. With the Sewards as an example, let’s look at some of the customs and celebrations of the season from Thanksgiving to New Year’s Day. While people have celebrated the harvest for thousands of years, the national practice of Thanksgiving is relatively recent. As governor of New York from 1839 to 1843, Seward proclaimed a series of state Thanksgiving celebrations. Each state governor had the authority to proclaim a Thanksgiving Day. Twenty years later however, in 1863, as Secretary of State, Seward suggested to President Abraham Lincoln that Thanksgiving become a national holiday. In the midst of the Civil War, both Seward and Lincoln knew that Americans needed a day for prayer and renewal. The proclamation, written by William Seward, was signed by Lincoln and established the national Thanksgiving holiday on the last Thursday of November. The Seward house is located at 33 South Street in Auburn. 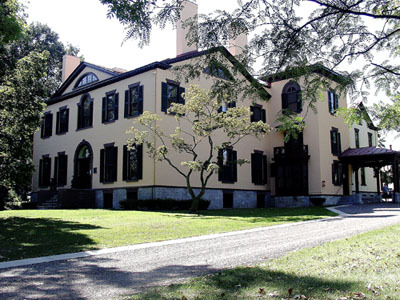 For more information about the museum, hours of operation and special events for the holidays, please call 315-252-1283 or visit the Seward House online. If you enjoyed this post, you may want to read: Holiday Traditions of the 19th Century: Christmas and Holiday Traditions of the 19th Century: New Year’s Day.